As a blogger for over a year now, I have heard of blog conferences and have dreamed of attending one. Being that I am in Montana and none of them are really ever close enough for me to travel to at this time, I feel sad to miss out on the fun and information! In addition to the above mentioned, there are some definite perks for joining an online conference. For someone like myself, who has no funds for traveling, this is a perfect way to stay at home, yet attend a conference! The ticket for the conference is also a lot more economical that I have seen for other conferences and I can not only choose what activities to attend, but do so in my pjs at home! Isn’t that why a lot of us moms love blogging to begin with?! 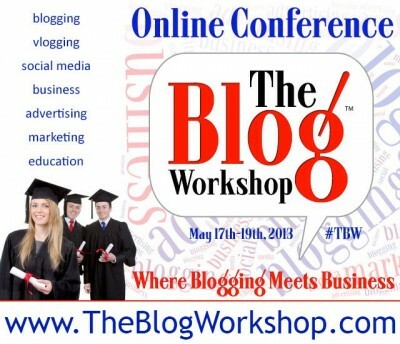 If you are wondering what is on the agenda for The Blog Workshop’s conference, you are in for a treat! You will hear from big names in the business such as IZEA, Sverve, Blog-Trends and even attorney Jeneba Ghatt! You will also have exclusive opportunities to win awesome prizes such as Video blogging equipment and LLC packages from LegalZoom! Still not sure if an online conference is for you? Watch this video and Hear from some of the speakers on this awesome conference and why you should attend! Make sure you check out the FAQs as well for answers to the questions you may have about attending The Blog Workshop’s online conference! Are you ready to go? I know I am! I will be there and I would love to “see” you there as well! Saved By Grace readers can get $25 off the $175 price for this 3day online conference! 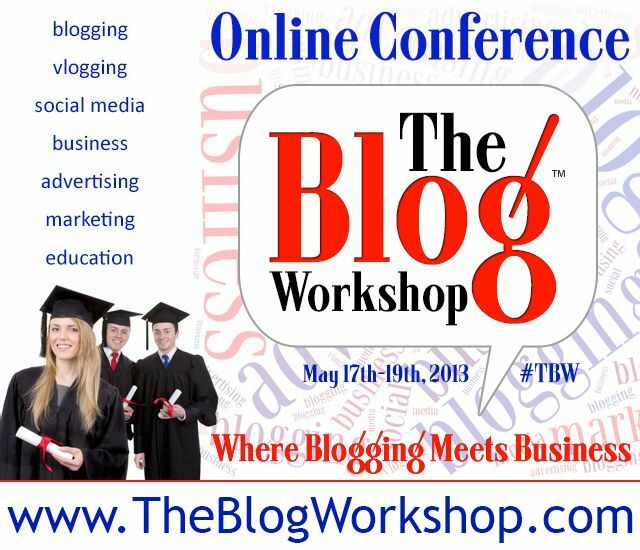 Just use code TBW25HURRY and register to attend the online conference by April 26th! Please note, ticket sales end May 10th and SPACE IS LIMITED! The conference is May 17-19th, 2013 so hurry and get registered!